Netball is a great way to have fun & get fit as part of team. 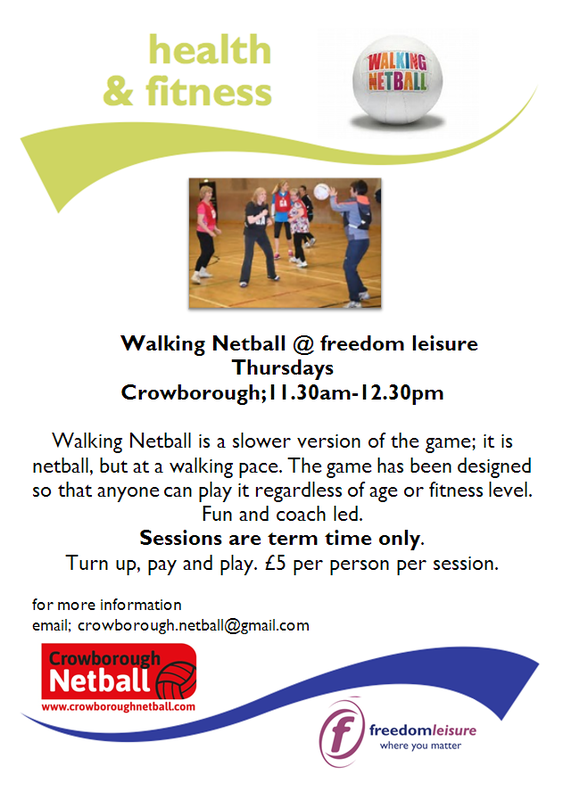 Crowborough Netball CIC is a not-for-profit coaching club for ages 9 to 90, men and women, boys and girls of all abilities! Whether you are completely new to the game, haven't played since school or are a regular player, we'd love you to join us. Regular sessions for under 16s running on Mondays at Beacon Academy Beeches Hall in North Beeches Road, Crowborough. Monday evenings in Crowborough for beginners and returners. Experienced players are also welcome! Pop along to play some netball. 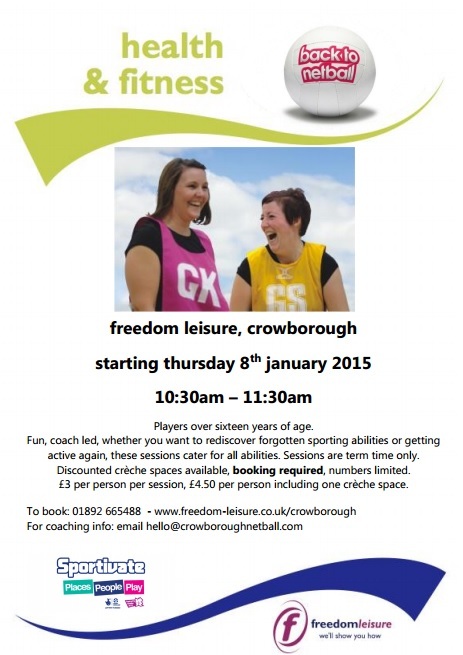 Sunday morning training sessions in Crowborough for adult (16yrs+) league and experienced players. February - April and August - September. England Netball has beginner and advanced netball officiating courses in Sussex. Visit www.sussexnetball.com to find out more. Thursday mornings in Crowborough during school term time. Run in conjunction with Freedom Leisure. Thursday mornings in Crowborough and Thursday evenings in Uckfield during school term time. Back to Netball is for netball beginners and returners. Below are some links to England Netball matches. Click on the links to see videos of the matches.